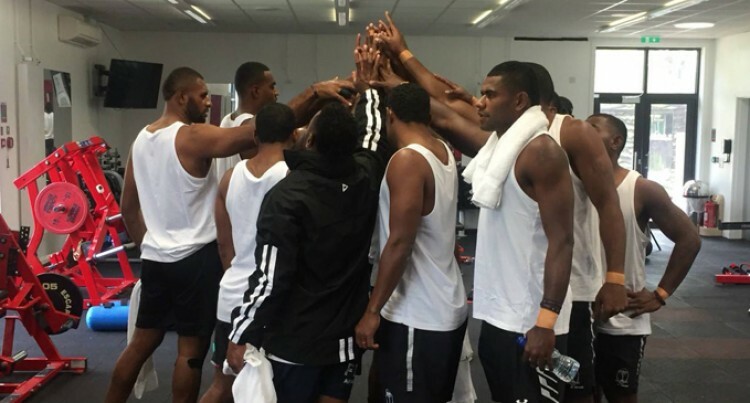 It was back to blood, sweat and tears for the Fiji Airways Fijian 7s team as they had their gym and skills sessions in London yesterday. Head coach Gareth Baber said this is to prepare the players for his weekend’s London Sevens. “The boys are being put through their paces today,” Baber said as he gradually increased the intensity following their long haul flight. Utility backs Samisoni Viriviri and Eroni Sau have joined the team. They did not travel with the team last week as they were waiting for the approval of their French visa in Vanuatu. The Fijians take on Argentina on Saturday at 10.20pm before they face Scotland on Sunday at 2.26am and the cracker against New Zealand at 4.32am. Meanwhile, New Zealand 7s coach Clark Laidlaw told Radio New Zealand that having Kurt Baker and Sione Molina as co-captains is a way to build the leadership capabilities in the team. Laidlaw said the temporary changes have created an edge within the squad. “The theory has come from working with our sports psychologist about how we accelerate the leadership within the team and management. “We’re excited about this initiative as it will grow us on and off the field heading to the World Cup and ultimately we think it can help us to win both London and Paris. “We talk a lot about who leads and influences our team. Sione co-captained the team in Singapore so he was an obvious choice. Kurt is a big influence on our team environment so it is about developing him to assist us to grow the team. It’s a great opportunity for those two boys to grow and take charge of the team.